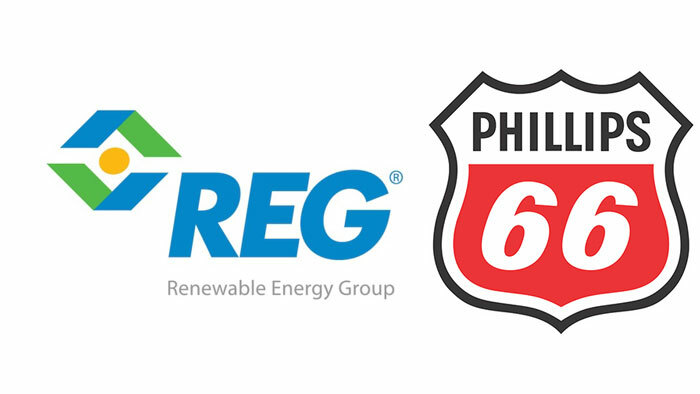 Phillips 66 and Renewable Energy Group, Inc. (REG) announced that planning is underway for the construction of a large-scale renewable diesel plant on the U.S. West Coast. The plant would utilize REG’s proprietary BioSynfining® technology for the production of renewable diesel fuel. Planned feedstocks include a mix of waste fats, oils and greases, including regionally-sourced vegetable oils, animal fats and used cooking oil. Phillips 66 is a diversified energy manufacturing and logistics company. With a portfolio of Midstream, Chemicals, Refining, and Marketing and Specialties businesses, the company processes, transports, stores and markets fuels and products globally. Headquartered in Houston, Texas, the company has 14,200 employees committed to safety and operating excellence. Phillips 66 had USD56 billion of assets as of September 30, 2018.